The NRL regular season is over, and after some final jostling of the ladder, we can finally switch the radar to finals. Here are my talking points for Round 25. If there was ever a player who deserved to go out a winner in this competition, it’s Johnathan Thurston. It’ll be argued about forever and a day, but whether the man known as JT is the greatest player in history or not is completely and utterly irrelevant right now. What we know for certain, is that Thurston was a once in a generation player who will be sorely missed by the game as he drifts off into retirement. While his on-field vision, play and career accolades speak for themselves, they don’t begin to tell the story of the impact he has had on the code, his hometown of Townsville and the future of the game. People want to be just like Thurston. The respect he has shown for the community, the fans, the ballboys, the administrators, the officials. It wouldn’t be a stretch to say he has done more for rugby league in this country than nearly any other player. He will move into a role in the media moving forward, and while 2018 won’t be remembered as his fondest season on the field, it’s not the one which should define our memories of Thurston. No, instead, we should remember Thurston for his dominance at Origin level, the 2015 grand final field goal, and his general grittiness to get the job done every time he put a jersey on. This sport will miss Thurston, and he deserves every credit he gets as he moves into retirement. 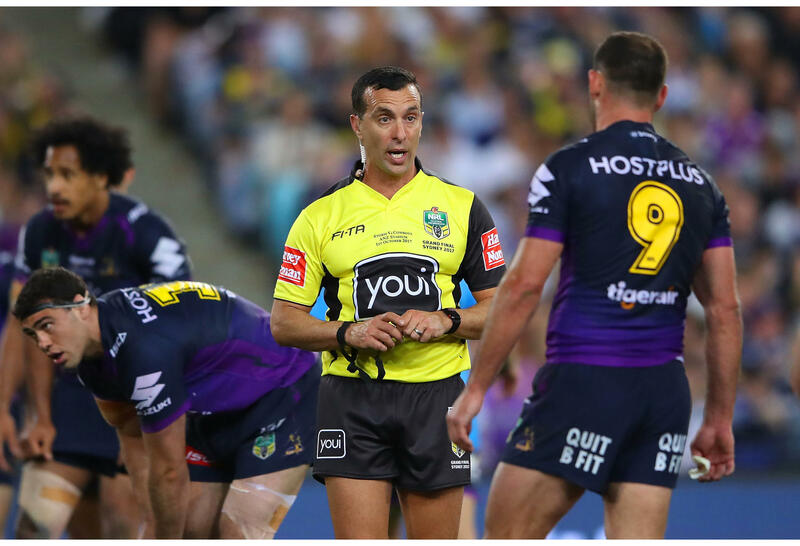 This will hopefully be my final rant about refereeing for the season – but ahead of the finals, it’s almost the law to say something, with standards falling in certain games over the weekend. I’ll do this for the most part without mentioning specific games because I reckon a vast majority of you know where I’m heading, but the bunker, while getting plenty right, have made some mind-boggling decisions in the last couple of weeks. The problem for mine seems to be the lack of understanding and clarity over both grounding and the obstruction rule, both of which seem to come into question nearly every single weekend of the premiership. Grounding is one of those things that, when you watch it in slow motion, there becomes a problem. Telling whether a player had downward pressure on the ball and remained in control all the way to the ground can’t be done frame by frame. What defies belief is how Zac Lomax was robbed of a try in Saturday afternoon’s game, but both Ken Sio and Shaun Kenny-Dowall were awarded theirs. That is going to sound like a case of ‘bitter Dragons fan gets angry at NRL officials,’ but trust me, it’s not. There have been other instances. The obstruction rule also continues to go from blunder to blunder. It’s almost like no one – players included – know what the rule is going to be from week-to-week. It’s a bad look for the game, and when it costs someone a premiership (as it inevitably will one of these years), there becomes a problem. The other issue I’d bring up talking about the current state of officiating is penalty counts. I’m not saying there is a conspiracy, but they feel manufactured at times. Rugby league fans, contrary to popular belief outside the code, aren’t stupid. There are far too many occasions when only one team is being officiated, the other allowed to get away with blue bloody murder on the ground, in the tackle and in terms of being offside. This needs to be cleaned up. Frankly, as long as we can agree on rules and then get them right a majority of the time, I don’t care. Just be consistent. At the moment, NRL officials wouldn’t know what consistency was if it punched them in the face. Was six weeks off the best thing GI could have had? 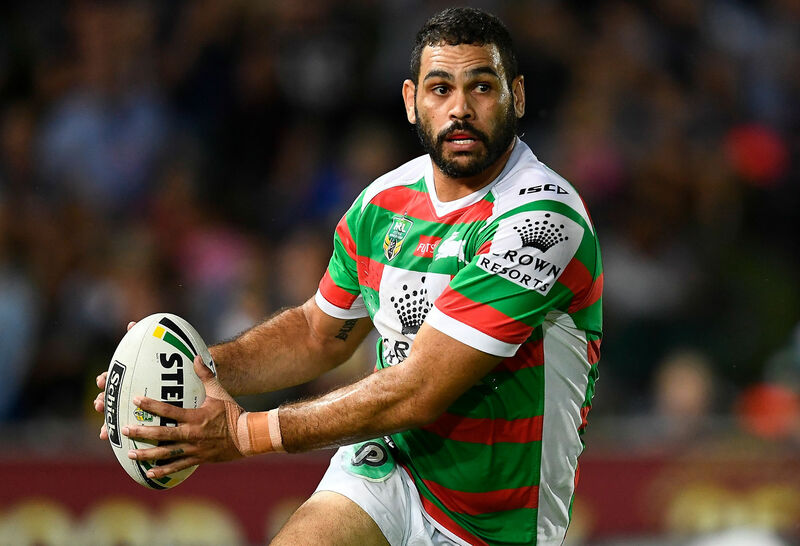 If there is a player who looks like he is starting to peak and get to his absolute best level of footy heading into September, it’s Rabbitohs centre Greg Inglis. While he has been a part of that dominant Rabbitohs left edge attack all season long, he has gone to another level heading into the finals. While no player wants to be injured and spending time on the sidelines, it could be the injury and six-week break away from playing which has sparked GI into what may be the best form he has displayed since the Rabbitohs went to the premiership in 2014. Even though he was playing at a different position – fullback – during that run to the premiership, we are starting to see that GI come back onto the footy field. The one who scares opposition defensive lines everytime he takes on the line, the one who commands multiple defenders on every carry and the one no one wants to run at. That GI – the one who was once touted as a future immortal and talked about in the same breath as his former Melbourne Storm commrades Billy Slater, Cooper Cronk and Cameron Smith – has made his return. It’d be fair to say Inglis was never playing poor footy, but he is the X-Factor who can ensure the Rabbitohs have attacking spark out left. Robert Jennings is the luckiest man on Earth to be playing outside him heading into the finals, as it was all too clear to see on Thursday night in their 51-10 rout of the Tigers. Him at his best, in that Bunnies left side with Cody Walker, John Sutton and Jennings on the outside is just an extremely difficult prospect for any opposition team to handle. One of the most impressive things about the Sharks this year is their attack. They have weapons all over the park. As I wrote a few weeks ago, Andrew Fifita can be an X-Factor for this club when he is switched on and firing at his best. He proved that on Sunday afternoon, mauling the Bulldogs up the middle third of the ground. While it’s all good and well to have a dominant forward pack led by a man who, at his best, could lay claim to being one of the best in the game, they still need the weapons to finish it off. If you look back to the start of the season, the Sharks were a rabble in attack. Valentine Holmes didn’t know his place at the back and looked uncertain in carrying it out, Matt Moylan’s attack was pretty poor, Jayden Brailey was lost and Chad Townsend didn’t have the spark to do it all on his own. Fast forward six weeks and it’s a completely different looking Cronulla outfit. Moylan has hit form, Holmes is hitting the potential we all knew he was capable of and in turn, that’s taking the pressure off Townsend who is directing his troops around the park solidly. This is a Cronulla team who, while maintaining their defensive roots which won them the 2016 premiership under coach Shane Flanagan, have all the weapons to turn it on, with outside backs in the shape of Sosaia Feki, Josh Dugan, Ricky Leutele and dominating young centre Jesse Ramien. Defensive outfits, starting with the Roosters next week, should be concerned. The Red V got an all-important two competition points leading into the finals, and while it might give them a little bit of momentum and confidence, they still have a heap to work on if they even want to be competitive next week. The Dragons are facing a hellish trip to Brisbane for the opening week of the finals, and if they play like they did against Newcastle, they will have the cleaners put through them. In saying that, there was more mettle in defence as they spent most of the first half on their own line, while they did have a little bit to crow about with their attack in the second. The return of Gareth Widdop will be helpful for the Red V, taking some pressure off Ben Hunt, but to win, they are going to need to play direct, have Matt Dufty at his best and not put a foot wrong. Based on their last two months, it seems like a mere formality that they won’t be advancing past Week 1 of the finals. It’s been an incredibly tough season for the Raiders – there’s no getting around that fact. They have lost a stack of games they should have won. Heck, even wins in half of the games they have been leading with 20 minutes to go probably would have sent them hurtling into contention for a berth in the top four, rather than languishing well behind the top eight. Their final ten mintues of the season in Auckland on Friday just about summed it up for the Green Machine as well. Four points behind, they had at least three opportuntities to score a match-winning try with quality field territory and plenty of possession, but somehow found a way not to score, dropping the ball and struggling big time with the ball in hand. The Raiders will be better in 2019. 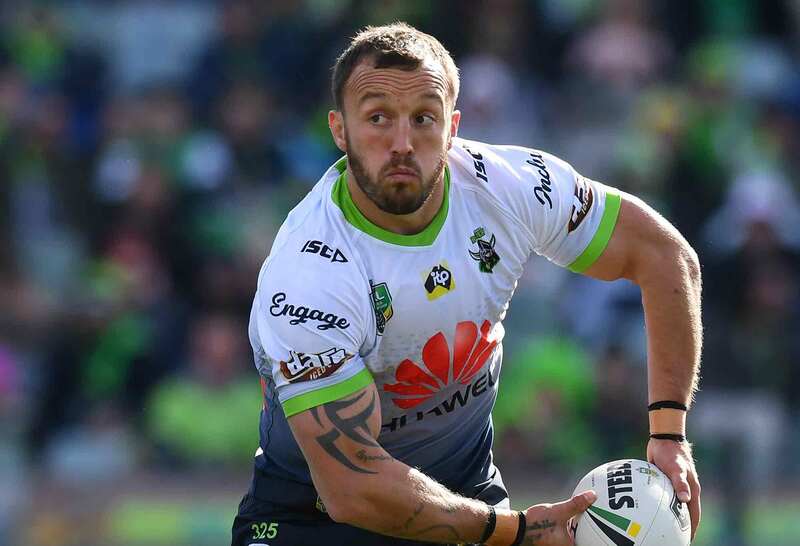 A full season of Josh Hodgson and hopefully a settled halves combination before things get underway will help Ricky Stuart’s mob, but it still doesn’t change the fact they crumble under pressure. Roughly the same 17 are going to be there under the same coach. Turning things around is going to take a lot of work through the off-season, trying to identify the issues and why they would turn from hero to zero at the back end of games. 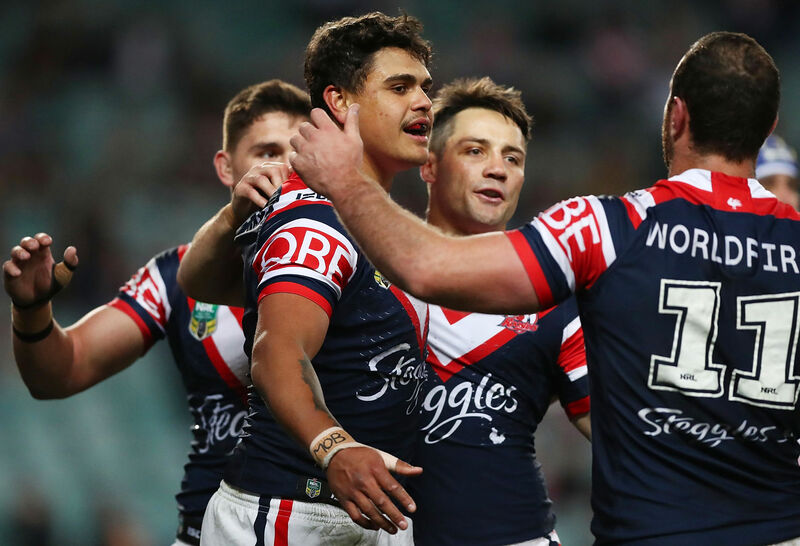 A hat-trick for Mitchell on Saturday night against the Eels will fill him with confidence ahead of the NRL finals, with a clash against the Sharks first on the agenda for his Roosters. Mitchell put on a display of attacking rugby league throughout the first half of the game, and continued into the second as he racked up the points. At the end of the season, he is the second highest point-scorer in the competition, with his goal-kicking aiding in that process as well. It’s not just his ability to bust the line and score points though. For Mitchell, he has it all. Strenth, size, big runs out of his own end and he is damaging wherever he gets the ball on the park with the heads up vision of few other centre running around in the game today. Despite that, under pressure, he is known to have a brain explosion in his game. Whether it’s rushing out of the defensive line when he doesn’t need to, giving away a silly penalty or dropping the ball in a bad spot, Mitchell is still a youngster and it shows at times. During the finals, for the Roosters to be successful, he needs to be at his best – not just some of the time – but for all of it. The whole 80 mintues of every game. Mitchell is such a key player for the Roosters, but in his hands, he can hold the keys to them winning or losing, depending on how he plays. Scoring a hat-trick is all good and well, but dropping the ball in the wrong spot or making a defensive error with five minutes to go can ruin all of that in a heartbeat. This man has the potential to be the best centre in the game. It’s time for him to prove it over the next month. Penrith get Melbourne in Melbourne, but does it mean anything? 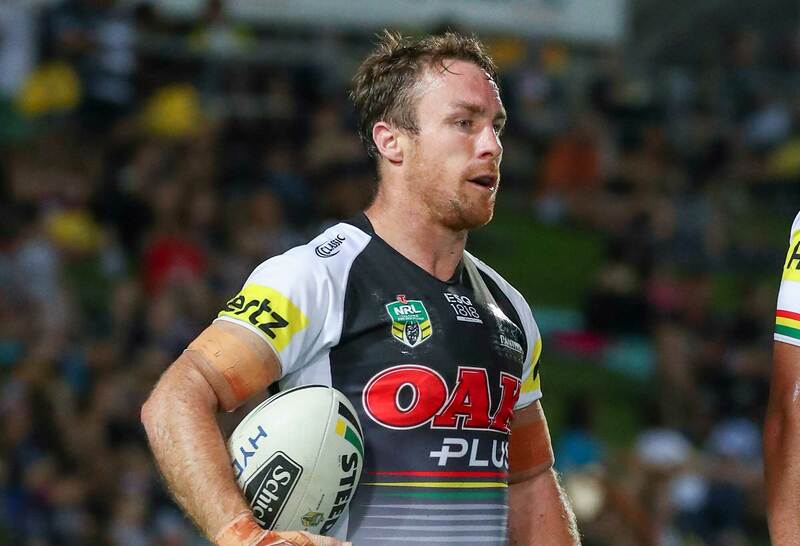 The return of James Maloney at the foot of the mountains couldn’t have come any sooner for the Panthers, who turned things around with a scrappy, but still solid win over the Storm on Friday night. It was a gutsy performance from the Panthers. They faced a mounting penalty count in the first half and two players in the sin bin, but managed to hold strong on their line and keep close enough for a second half comeback when the momentum and tempo of the game finally started to flip around. Maloney was a key part of their victory, taking the pressure off Nathan Cleary to do absolutely everything, while also providing more quality ball to their outside backs in the 22-16 win. It has to be noted the Storm were severely understrength for the game, but winning any match against any team named the Storm in Melbourne is a tough ask, no matter who is lining up across from you in the purple jerseys. While Penrith still have a ways to go with their attack, it’s their defence which has been letting them down over the last few weeks. An embarrassing 36-16 loss to the Warriors in Auckland last week needed to be acted upon, and it was so. They sharpened up their defence, and while one week doesn’t promise consistency moving forward, it does leave the prospect that they might get back to where they have been throughout the season. If their defence is firing, then anything is possible for the men from the foot of the mountains, who know a thing or two about coming back late in games. 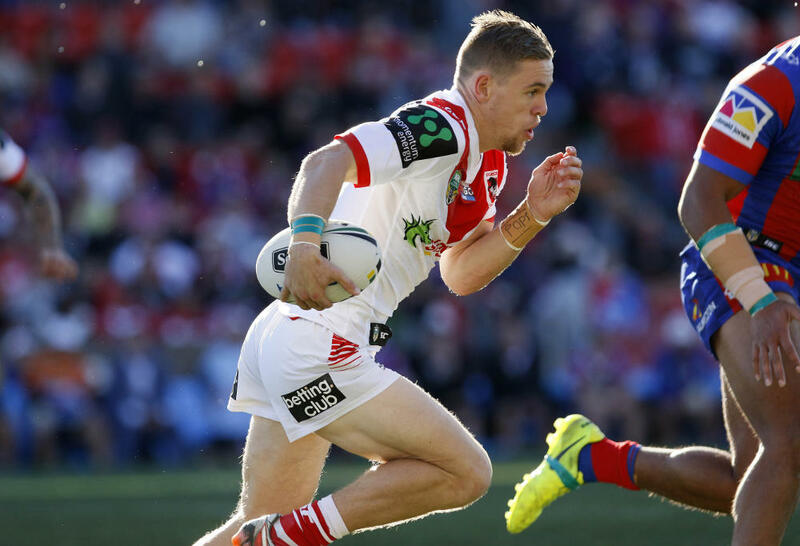 Should Jake Turpin be given a run throughout the NRL finals? Turpin made his debut during the State of Origin window for the Broncos and played again during the final round of the season with the regular Broncos rake sitting out with concussion. The question though – should Turpin be given a run as something of a livewire during the finals? Turpin is a strong enough player and has some qualities. While he hasn’t played a huge number of NRL games, he could easily slot into the back row for some minutes through the middle of the game against tired defenders if need be. It’s the tired defenders argument which gives the most weight to the argument for Turpin to have a run off the bench though. McCullough has been a little bit up and down for form at times this year. He is an 80-minute player, but you almost wonder if, given the amount of defence he does in the middle third of the field, playing 60 minutes would allow his impact to be greatly increased in attack out of dummy half. If the option is there and coach Wayne Bennett can sacrifice a spot on the bench, there is every chance of this working wonders for Brisbane. Roarers, what did you make of Round 25? Drop a comment below and let us know. As a sidenote, thanks for your readership throughout 2018 on these talking points. I love writing them and it allows us all to chat about the greatest game of all on a Sunday night and into Monday. See you for game-by-game wraps during the finals!